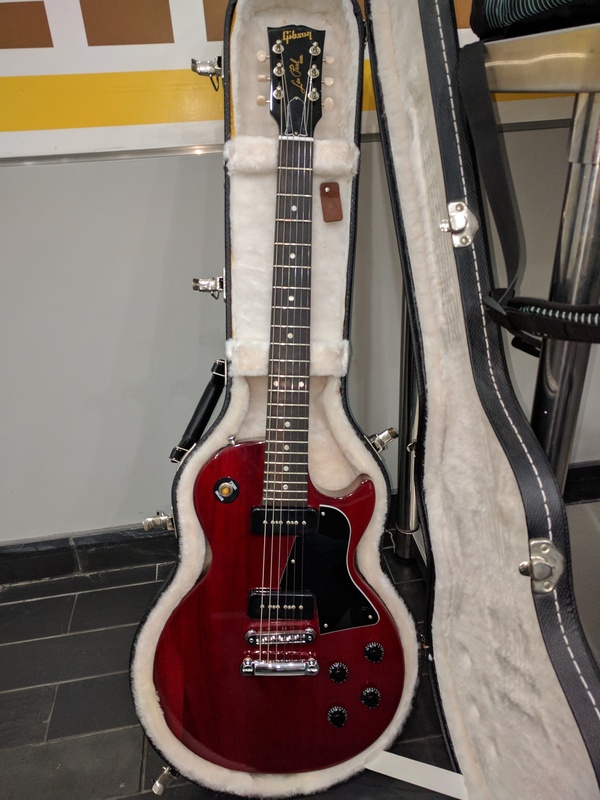 Unique Les Paul Special ("Jr. Special Exclusive) coming in..
Re: Unique Les Paul Special ("Jr. Special Exclusive) coming in.. Doctor Turn wrote: I love the olive drab Carvin strap holding it up. Elf--how much would you say that MM weighs? 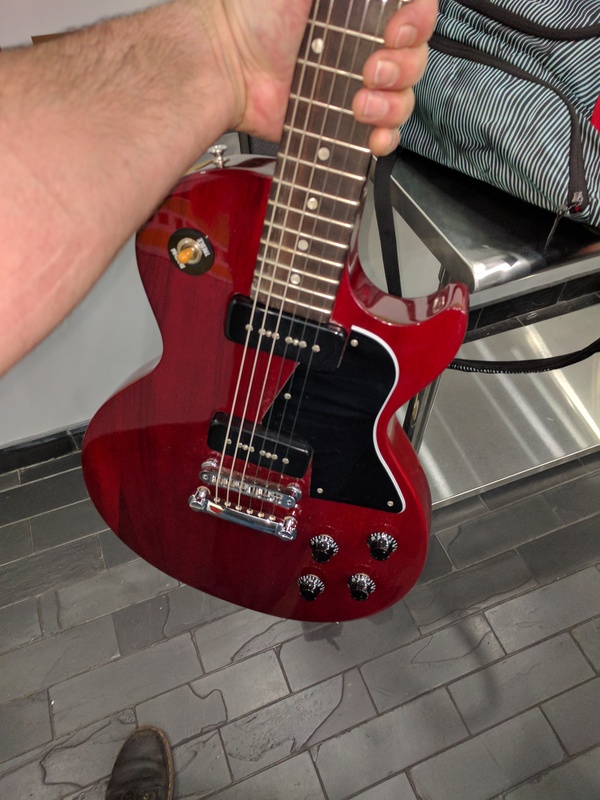 I haven't weighed it but it's very light due to the thinner body (same body and woods as the Les Paul Less and the Les Paul Custom Lite). Sounds like you're going for a Melody Maker incarnation of Neil's Old Black--P90 in the neck and a firebird mini HB @ bridge position. I can't knock it--it's a great sound. Both of Neil's switching positions (plus he can bypass his pots completely w/a switch throw IIRC, old incarnation of a blow switch) are sublime and it's all based on those pups. SO many classic songs/solos riffed on one of those two pickups. The tone that he's pulling from those mini humbuckers pulled me in immediately--just like so many of Neil's solos (I find Young still--to this day--one of the more interesting soloists to play in the world of rock, he sounds like no one else and he's so expressive.. and his tone from his P90 in the neck and the firebird HB in the bridge play a HUGE part in that), Winwood's solo is dripping with great, gloomy vintage tone. The sound pouring out of that old green Firebird is just goddam sublime.. it was from threading through a million non-reverse Firebird videos that the P90 editions (Studio) kept popping into my searches for more examples of the guitar... and it put me so deep into P90 love that everything else went on hold. I had to have a triple P90 axe like the Firebird Studio I could never find--at least not at that point. That's when I learned Hagstrom was back in business. The rest is (boring unimportant) history. GuitFiddle wrote: Ain't that the truth. Honestly it's a little spooky playing an LPJ or Tele or Strat model through a different guitar because it is dead silent, as in zero noise floor. It's actually the hardest thing to get used to, you expect that hum and buzz and none is there! It's hugely important. 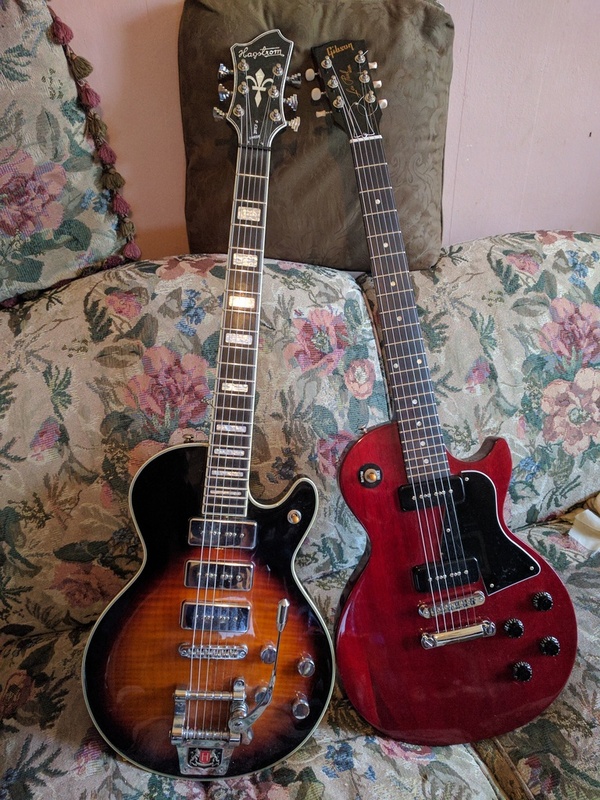 I find that stacks like the much maligned P100's designed to emulate P90's but cancel the hum by shoving another single coil underneath.. they lose that classic quality that a true P90 has.. slightly smothered yet beautifully compressed sound that opens up so terrifically when pushed. Who knew Satch not only plays/played a P90 loaded axe, but has a signature guitar with them (linnk embedded). You guys are giving me so much P90 gas, I can't take it. I just don't have a guitar to put them in. So I ordered some untrooooo 'bucker sized ones to see if they click with my playing style. I always loved the sound, but been on the fence about the look of big soapbars/dogears. Gonna try 'em in the Gibson first methinks. ...then maybe in the strat. ilyti wrote: You guys are giving me so much P90 gas, I can't take it. I just don't have a guitar to put them in. So I ordered some untrooooo 'bucker sized ones to see if they click with my playing style. I always loved the sound, but been on the fence about the look of big soapbars/dogears. Gonna try 'em in the Gibson first methinks. Untroooo? Which brand did you order? Sorry to have hijacked your thread, Doctor, but Ima share something I just experienced. When I play guitars in my basement I'm often doing A - B comparisons. Tonight I tried playing these two guitars back and forth. CT4M and the Les Paul Melody Maker. 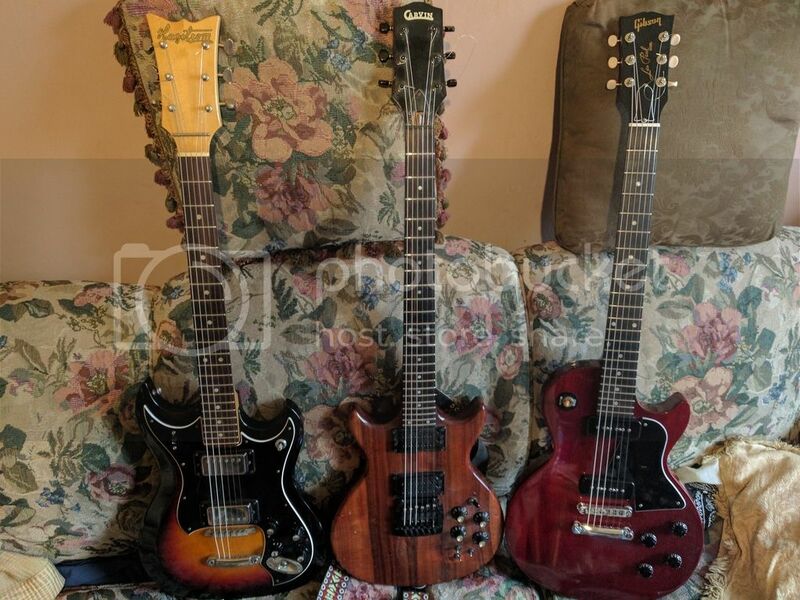 Each has a hog body with a carved maple top and a set neck. 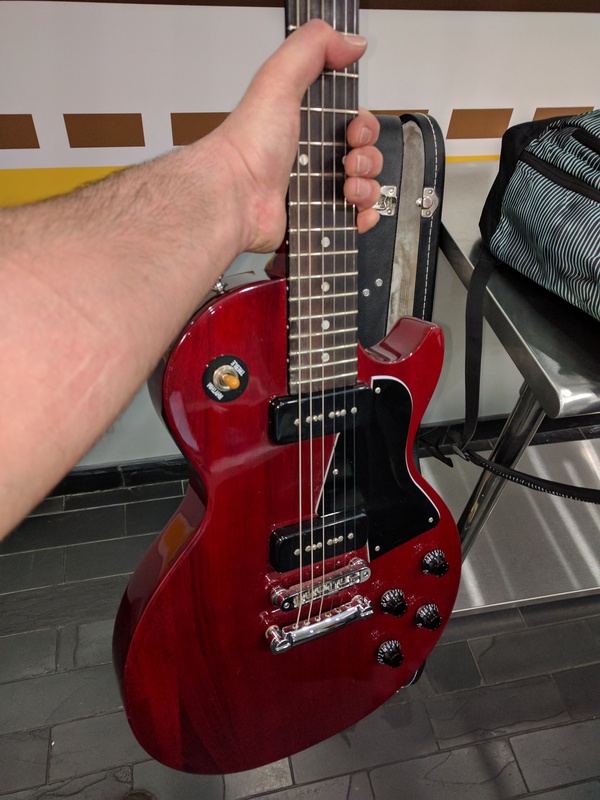 In the CT I have Lithium pickups, but for this test I coil-split them and never put them into humbcuking mode, thus trying to see how their single-coilness sounded against a pair of Gibson P-90s. I was blown away at how similar they sounded to each other, neck and bridge, both in tone and output. It was like, "Dang. If you want the P-90 sound in your Carvin/Kiesel, just get the Litiums and split them. You're basically there! Audio or it didn't happen! Actually I can believe they get into that region of sound. My ancient M22 neck pickup when split gets over into that zone... Doesn't quite replicate it exactly, but it gets into the ballpark. What it doesn't have is that throaty sound unique to all legit P90s, where something from the hi/hi mid zone is being muffled somewhat. Doctor Turn wrote: Audio or it didn't happen! Good idea. I'll see if I can't throw something together this week. Thanks. Now I have to change my gitch. I learned a cool new Canadian slang term this past weekend: gitch. Doctor Turn wrote: I learned a cool new Canadian slang term this past weekend: gitch. I wasn't aware that it was a Canadian thing. When I looked it up, Hockey and Canada seemed to be the big sources on the slang. I had never heard it before--even here in the "overslanged" Bronx NYC! (Saskatchewan) Women's or men's underwear. You never know with slang, but since I never heard it before I had to look it up--seems like Canada/Hockey is all over this word! GITCH!! is 4 of Winnipeg's top musicians: Murray Pulver, Joey Landreth, Paul Yee and Emmet VanEtten. We play sundays at Maws Eatery and Beer Hall! That's hilarious! I actually taught Murray Pulver's son when he was in grade 2. The guy is a great guitar player! I never knew he was in a band called Gitch though. They sound similar with mostly clean tones, but what happens at mid-to-high gain? With there being that much of an output difference, there's no way they're going to hit the front end of an amp the same way. There's not that much of an output difference. Despite the additional coil, PAFs and P90s hit amps in the same general theater of output. Since we know if course that one PAF can be wound with a completely different number of turns versus the next, and they have wildly varying resistance measurements from 7 to just shy of 9k ohms, it's tough to even pin down a paf vs a ninety..
Now if you're talking something like a super retardo Bare Knuckle ceramic at the outer reaches of output, that's a different story, and not within the bounds of this comparison. Seth Lover wasn't​ looking to produce a whole new pickup from the P90, which he quite liked.. he was looking to maintain the profile of the p90 but quiet down the hum. It's well established fact. I just love that Joe is cranking the amp in his Hotel room. That's great. And "oh, I just picked up this '59 LP from Gruhn". So casual......must be nice! Go Joe! I definitely see potential for a P-90 resurgence. Kind of like Bell bottoms, Afro's, and Big sunglasses. I'm already GASing for a P-90 guitar. I just keep getting distracted by other guitars that pop up. You know the feeling Doc. Since Protophukker has nuked my pics, I've scooped my pics from the day I rec'd it in the office/got it home onto cube, just to put some content of it in my hands. I love this guitar. I've since top wrapped the stop bar for a little extra dose of slink and spank. This Special reminds me of my 150 with that light colored chunk of wood out at the edge that looks like you could crack it right off. (Although this may be dif from the 150 in that the 2 pcs of the slab may be asymmetrical and joined there, one big piece and one little piece out at the edge contour). 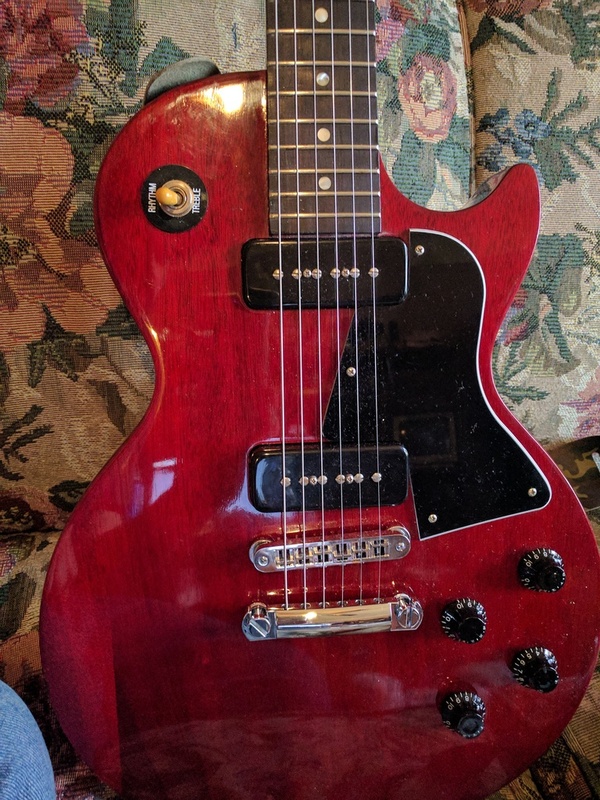 Interesting factoid about the heritage Cherry color of my Special: during the period following 1957 and the introduction of the bucker by Seth Lover, sales were dipping, and this includes the Specials and the Juniors, which retained the P90's while the Standard and the Custom were given the PAF's. Despite the upgrade to humbuckers on higher-priced Les Pauls, sales for all four models were dropping steadily. In mid 1958, the Junior got a makeover with a double-cutaway body, along with an optional Cherry Red stain finish that resulted in almost double the sales figures. In ’59, the Special got the same treatment with the same results; shipments jumped from 958 in ’58 to 1,821 in ’59. Then, in late ’59, for no apparent reason, the Les Paul Special became the SG Special. 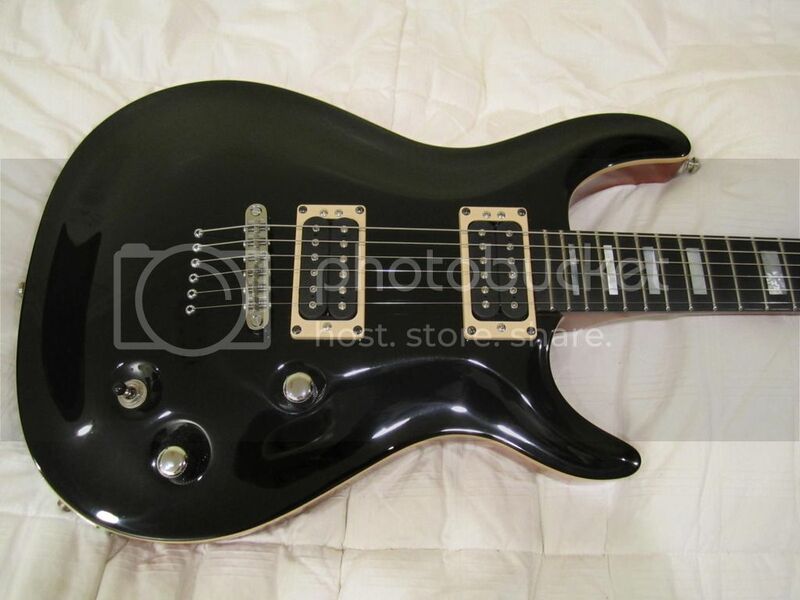 For all practical purposes it was the same guitar, with the same double-cutaway body and the same features except for the lack of the “Les Paul” silkscreen on the peghead and a slightly different pickguard. 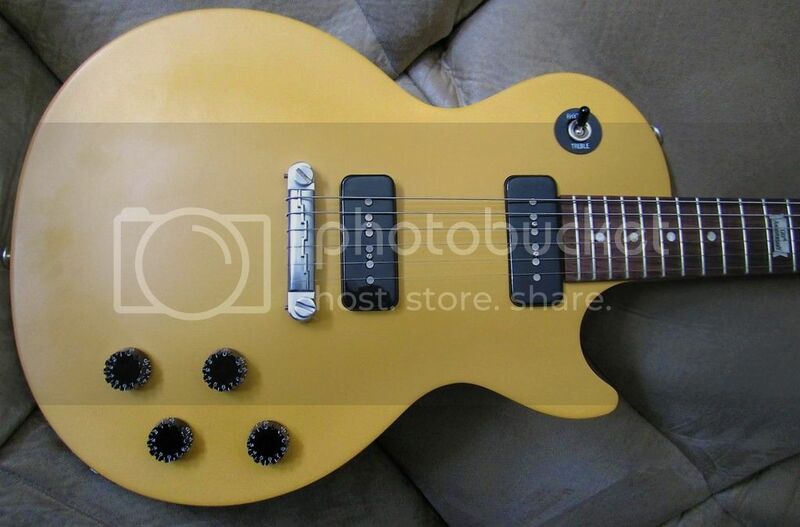 So technically the first guitar called the SG by Gibson came out in 1959 as Gibson deleted the name Les Paul from the LP Special DC (presumably because it didn't resemble the LP in shape), but the name Les Paul wasn't removed (at LP's request because he hated the guitar's look) from the "1961 new shape" that became known as the SG, until 1963. As it turned out, not everyone liked the curvature of the top on the goldtop and the Custom (Les Paul himself was among those players who preferred a flat top), not to mention the extra weight that the maple top cap added to the goldtop and Custom. The only disadvantage to the Junior was its lack of versatility as a result of having only a single pickup. In 1955, Gibson filled in what was becoming a gaping niche between the Junior and the goldtop with the Les Paul Special. So lovers of the Special and the Junior are not alone in loving the lightweight, unhindered scream of uncapped wood!